Jane Peters is a Los Angeles Realtor®, specializing in absentee owners, out-of-town-buyers and those needing that extra personal touch to make the buying and selling of Los Angeles real estate a smooth and, believe it or not, fun process. You are buying a home in but haven’t decided whether it will be a condo or a house. That will be a simple decision when you look at some of the pluses and minuses of each . Outside space: a garden, a private pool, a place to barbecue, etc. No homeowners dues added to your monthly payments. No common walls, so much more privacy. Much more freedom than a condo. A house is a better overall investment. Initial investment may be more. Security can be an issue in a house. Maintenance will be your total responsibility and should be budgeted for. Utilities may cost more in a house. If you travel a lot, locking and leaving a house is not as easy as a condo. Initial investment may be less. If you want to be in the heart of a city, then a condo will probably be a more affordable proposition. You may have more amenities than a house, such as a pool and gym. Upkeep of a condo is going to be less than a house, and all common area issues will be handled out of the monthly homeowners dues. A condo will provide more security. You can lock up and leave your condo when you travel much easier than a house. 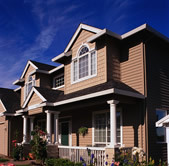 Monthly homeowners dues will add to your monthly outlay. You are never sure when an assessment is coming. Make sure you are on the board so your vote will count. You will probably have to get permission from the board if you want to make changes in your unit. Noise could be an issue with common walls. If you are a pet lover there could be restrictions. Condos are not as good an investment as a house. It can be more difficult to get a loan on a condo than a house. Budget and lifestyle are going to determine whether a condo or a house is for you.